It’s probably no surprise that the majority of our travels and even our normal day-to-day lives revolve around food. That’s what happens when you’re married to a pastry chef and love food, at least that’s what I tell my husband. 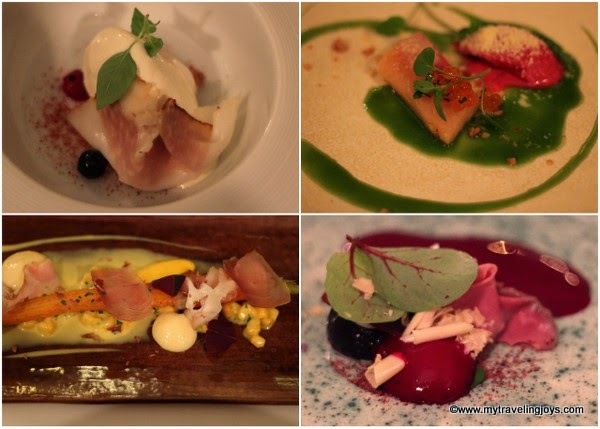 This year, we did quite a bit of traveling in Europe and ate well along the way. From the backstreets of Istanbul to cozy brasseries and from eating at Michelin-starred restaurants to dining at home with friends, we’ve had a lot of good meals. I’d rather spend the money on a wonderful meal than on something with less value to me like jewelry or new clothes. 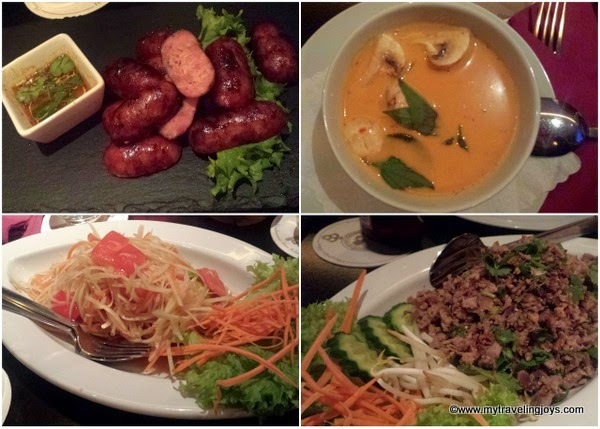 The following destinations are where we had some of our Best Meals in 2014! Where did you have your favorite meal this year? I’d love to know! 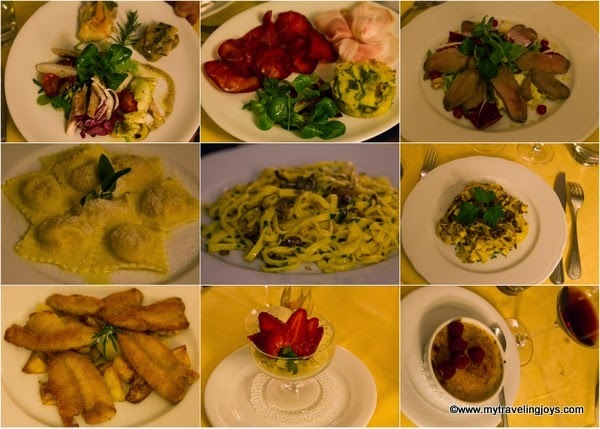 In March, we spent a long, leisurely weekend in Lake Como and ended with a home-cooked, four-course dinner at Osteria Sali e Tabacchi, a cozy, Slow Food restaurant located in Mandello del Lario. Eating here was like being invited into an Italian’s mother’s home where local ingredients are key. A few of the dishes I remember: local fish in two dishes, cured Italian meats for an antipasti, braised beef with polenta, pumpkin-filled ravioli and homemade pistachio gelato. Be sure to make reservations in advance! I never thought I’d have a good steak dinner in Istanbul, but in March our Turkish friend, Huseyin, proved me wrong. 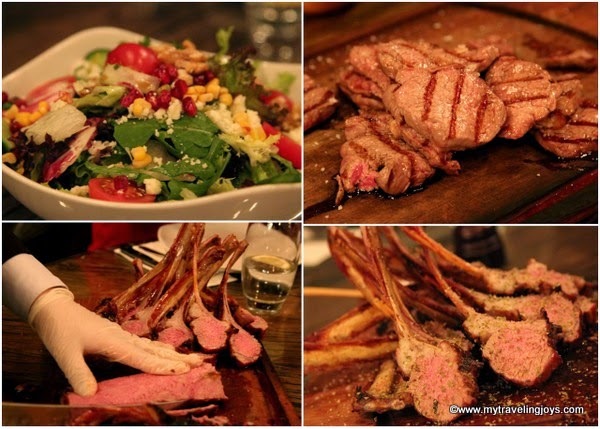 Our meal at Nusr-Et Steakhouse consisted of lokum (Turkish delight), spaghetti (thinly sliced beef), sliced-to-order lamb ribs, unlimited crispy fries and a salad. 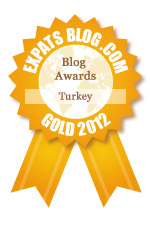 The meat used comes from the Marmara Sea region and was quite tender and juicy. And for dessert, don’t skimp on the pistachio baklava that is flown in fresh every day from Gaziantep and served tableside with a generous scoop of Maras dondurma. My mouth is watering just thinking about this heavenly baklava! In May, we spent my birthday in Paris. 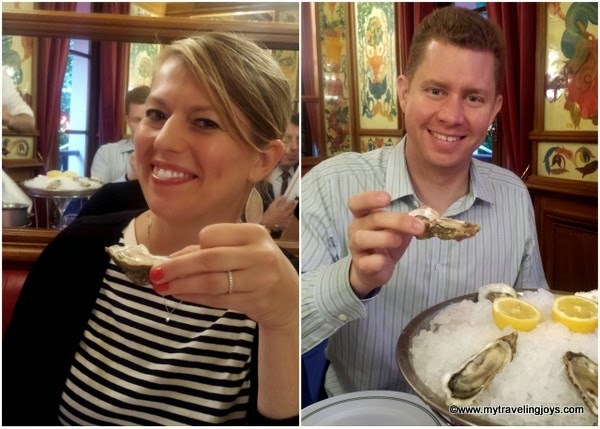 I had My Delicious Day in Paris and then later we went to Au Pied de Cochon for French oysters and dinner. This wasn’t our best meal ever in Paris, but it’s more that this brasserie holds a special place in our hearts. We first ate here in 2009 right after my now husband had proposed. In July, I followed hubby on his business trip to London. We arrived two days early so we could enjoy ourselves and have a good meal at St. John Bread & Wine, which we first had visited in 2010. The standouts here were the foie gras on toast (I love foie! 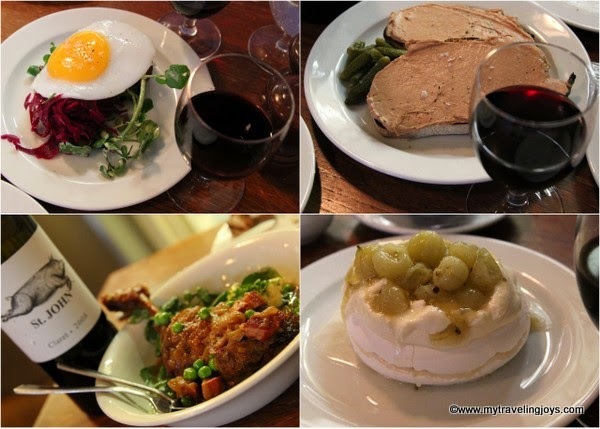 ), roasted duck leg with peas and bacon and an appetizer of salt beef hash with a fried duck egg on top. All delicious! The only miss was the too-tart gooseberry pavlova for dessert. In August, we sadly bid farewell to our fun Aussie friends with a fancy dinner at the new Senses Restaurant. This was our most expensive meal of the year at 380pln ($125) per person, but this doesn’t include the bottle of champagne and post dinner drinks we shared. You can tell that the French-Italian chef, Andrea Camastra, likes to play with molecular gastronomy here with the foams, jellies and smoke used throughout our multi-course dinner. Our first courses included tuna with lard and corn, beetroot with goat cheese and foie gras and smoked eel with a scallop, celeriac and potato puree, which was my least favorite dish. 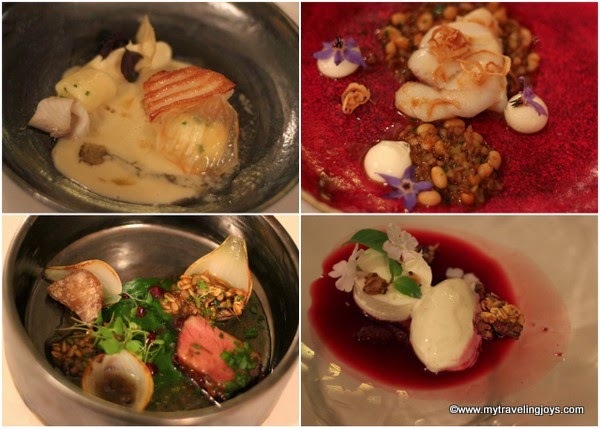 Next courses were a monkfish goulash with beans, kobe beef ribs with cherries and spring onions and a yogurt dessert with fresh “forest fruits.” I loved all of these dishes and wish I had more of the beef dish! Overall, Senses definitely was an interesting experience, but I could have done without the chocolate-beet drink and some of the hocus-pocus smoke. The best part of this meal was spending another fun night with our good friends before we said goodbye! 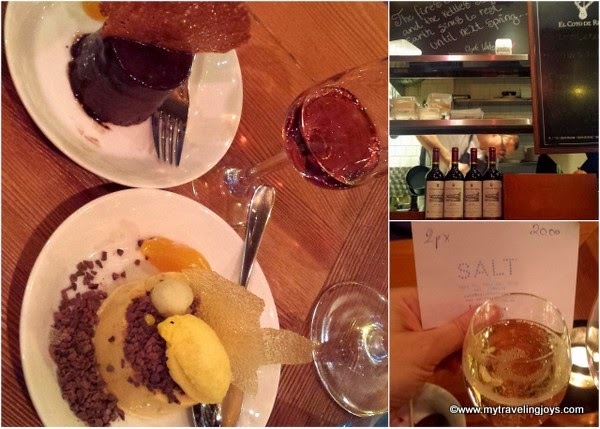 In November, we enjoyed our best meal in Tallinn (as part of our Baltic road trip) at a cozy restaurant called Salt Restoran, tucked in the residential neighborhood of Kadriorg. It's headed by local chef Silver Saa who focuses on using seasonal ingredients, which seems to be the trend everywhere. 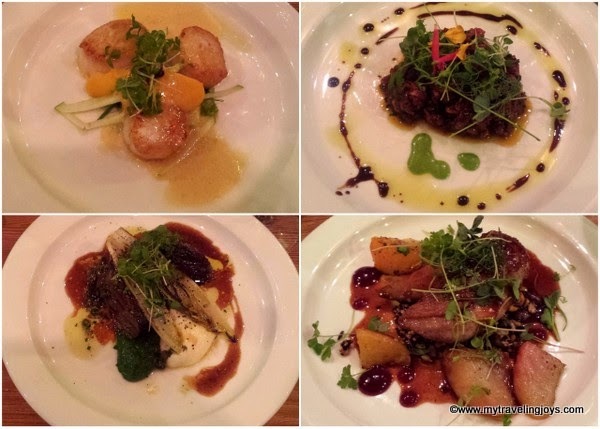 We ordered the seared scallops with wakame, pumpkin cream and ginger beurre blanc, a not-so classic beef tartar, veal cheeks with red wine sauce and grilled endive and crispy duck breast with roasted beetroots, plum jam and sherry sauce. I had a difficult time sharing my veal cheeks because they were irresistibly tender and delicious! For dessert, we shared a chocolate cake with salted caramel and the pumpkin cream (panna cotta?) with cocoa. The total meal cost was 108 euros ($132), which included a 26eu ($32) bottle of red wine and 2 glasses of Spanish cava at 6eu ($7.30) each, making it our most expensive meal on this trip. However, I feel like Salt was definitely a restaurant worth seeking out! At the end of November, we celebrated Thanksgiving in Düsseldorf, Germany. Before stuffing ourselves with turkey, JT took us to Manima Der Laote, a restaurant owned by his friend that specializes in Laotian food. The chef/owner greeted us and he instantly reminded me of NYC chef David Chang, owner of Momofuku. I knew we were in good hands! The highlights of this meal were the very spicy green papaya salad and minced duck meat served with lettuce leaves and sticky rice. This coastal, Spanish city is all about the pintxos! With so many good restaurants to choose from, you really can’t go wrong here. We had to escape from the drunken crowds of the Santo Tomas Festival on December 21st so we went to the Gros neighborhood across the river. 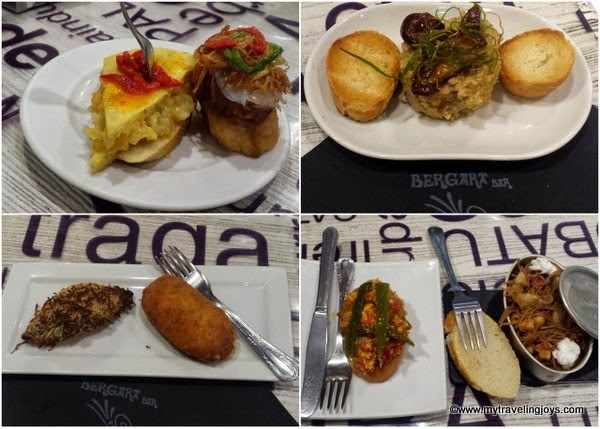 Here, we got our pintxos on at Bergara Bar, a local place recommended by our pension owner. We liked this place because we could actually sit down, it was quiet enough to where we could actually converse and the food was delicious and fresh. We ordered mushroom risotto with foie gras ( my favorite), Spanish tortilla with roasted red peppers, a croquette, a seafood “tin can” and a few other items. 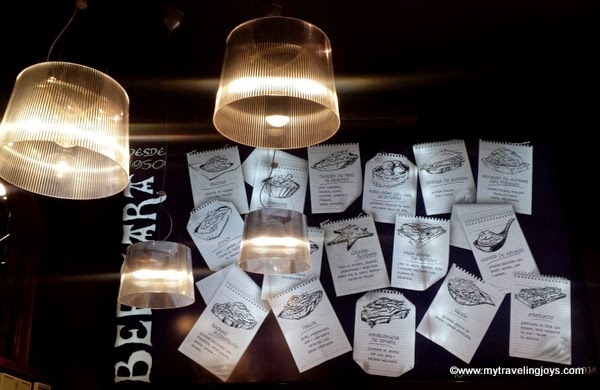 Bergara Bar was a great recommendation! 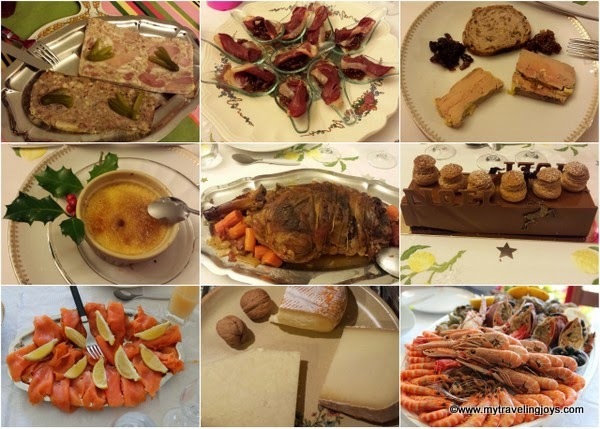 We ended 2014 with a road trip through Southwest France and enjoyed several outstanding, homecooked meals with our French friend’s families. I’m so grateful for this expat life that allows us to travel, to meet new people and to enjoy new experiences together. 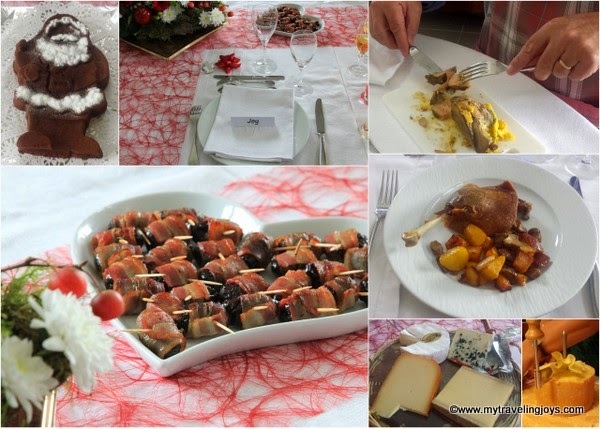 The French families went all out with their hospitality and with course after course of decadent food for the Christmas season. Just some of the courses from our French meals on December 23, 24 and 25th. Christmas part II on December 26th. After eating like this for four days in a row, I felt like a fat French saucisson! I'm thankful to our friends, but I still feel fat! I might have to kick off 2015 with a bit of dieting after all these trips!